Come join us on this spiritual pilgrimage and journey of a lifetime to Bali- a true sacred paradise!!! Over an 8 day period Govind Das will take you on an uplifting and inspirational journey through the Heart-based practices of Bhakti Yoga: Kirtan, Mantra, Meditation, Bhakti Vinyasa, Yin Lunar yoga, Satsang, & Dharma. We will open and immerse ourselves in Mother Earth's deep and vast beauty for rest, health, vibrancy and deep soulful rejuvenation. Please come join us! 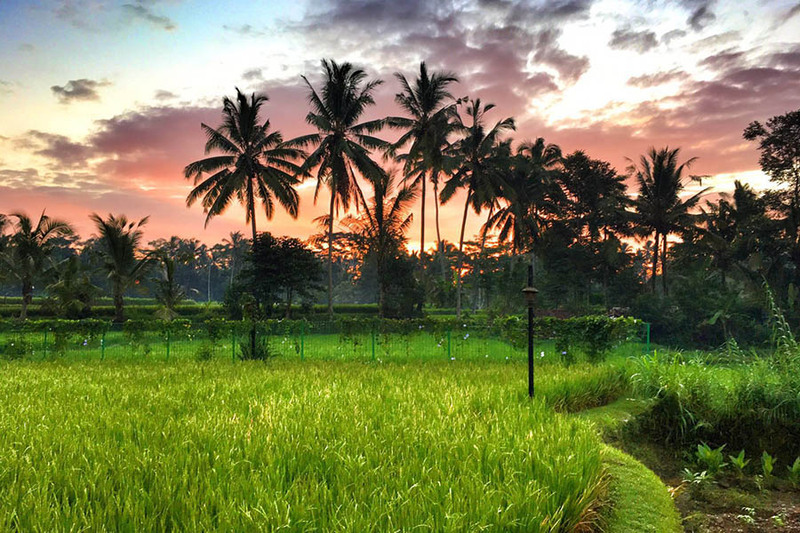 We will stay 8 days/7 nights in one of the main spiritual centers and often called the heart of Bali: Ubud - an international capital of yoga and spiritual center that attracts yogis from all over the world for its natural beauty and the sacred land's ability to rejunvenate, heal, and renew. 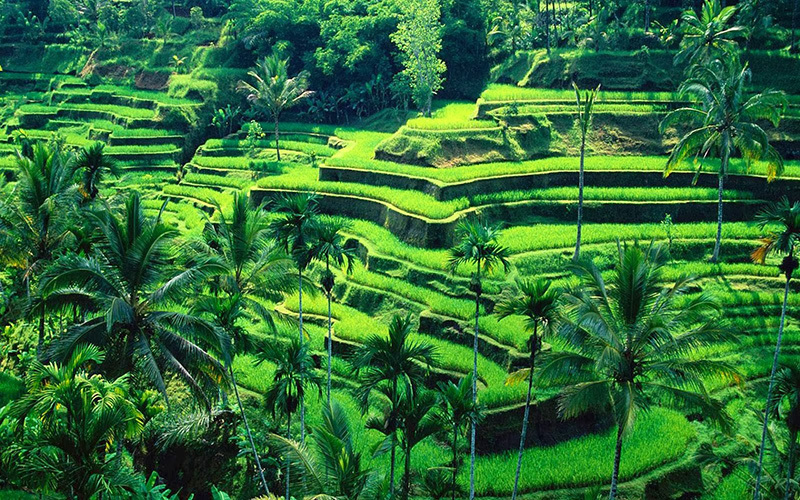 The town of Ubud is well known for its deeply Balinese Hindu culture, the warmth of its people, organic food, and a peaceful easy-going lifestyle. We will practice yoga every day, sing kirtan, visit holy temples, do puja, sit with local shaman, swim, and soak at world class beaches, shop in vibrant markets, enjoy most delicious organic/local vegetarian cuisine, and meditate and chant in some of the most beautiful and breathtaking natural environments on the planet. As well our retreat will coincide with one of the most inspiring yoga festivals on the planet: Bali Spirit Festival balispiritfestival.com. We will take a day or two to "daytrip" to the festival to take incredible yoga classes, workshops and listen to epic music! Come join us on this transformational, uplifting, and joyful retreat! Together in community we will bathe in the nectar and joy of one of the planet's oldest authentic living spiritual traditions and cultures. 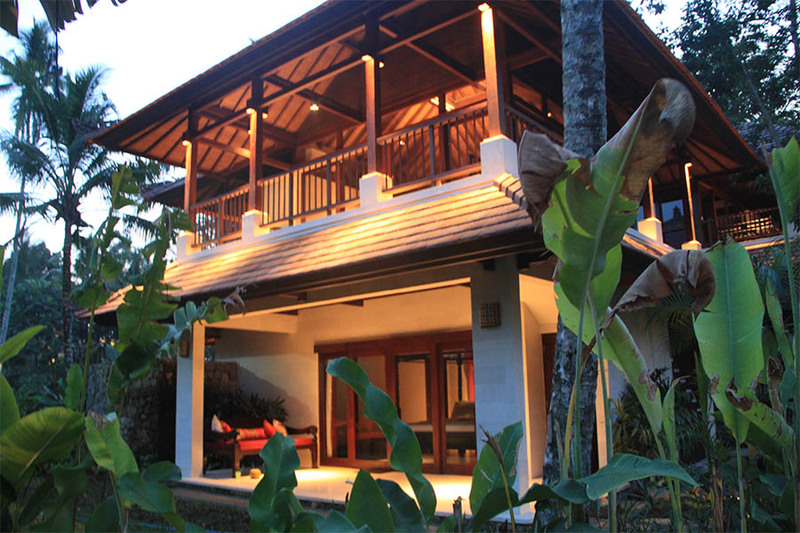 Our home for the retreat will be the divinely gorgeous and luxurious retreat center called Being Sattvaa: http://www.beingsattvaa.com pls see pics below. The importance of retreat is to step outside of our daily routines and responsibilities with the intention of deep rejuvenation, spiritual reconnection and upliftment. When we add in the Bhakti practices, an organic and vegetarian diet, and the sense of community and friendship, it can be truly a life altering and vibrationally raising experience. This has been my experience in the greatest of ways. Bali is a far off land. But all I can say is it will be well worth the travel! I personally will do whatever i can as the retreat host, to make this excursion as safe and simple for you as possible. The price above does NOT include airfare. It does include lodging, food and yoga. As well the price does not include personal excursions, etc. Payments can be made by cash, check, or credit card or paypal. As in any travel there is potential risk. Please be aware of all possible risks by doing as much research as possible. Many people take shots and vaccines before going to a foreign land. If you feel inspired to do this, I think it is a good idea. We are going to a clean yogic environment, yet is entirely up to you whether it is something that you want to do. Again, please do the research! 11:00am Brunch and Free time, Healing Massages and Treatments, Waterfalls, Visiting Temples, Beach Excursions, Shopping,etc.
" Just got back from an incredible Bali Bhakti adventure in paradise with Govind Das and ten other amazing souls. 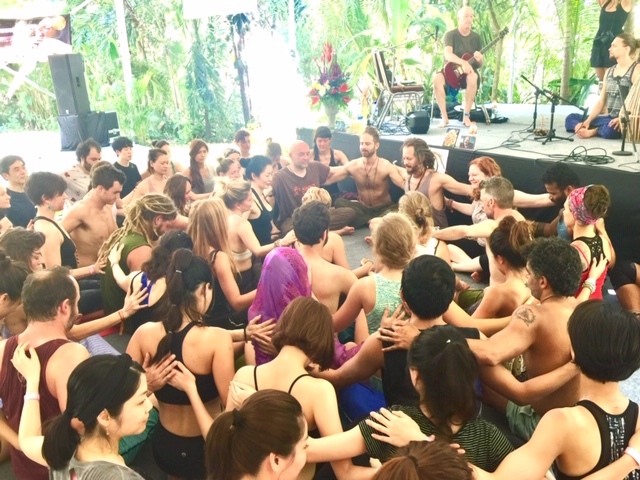 We meditated, sang kirtan and practiced asana every morning with the rising of the sun, rode bicycles through the gorgeous rice fields and villages, experienced the purification and blessings of the water temples, enjoyed an incredible heart-opening day at Bali Spirit Festival, and more. Oh what an adventure!! I can’t wait for next year." *Deposit $1000 now to hold your space. Final payments due by March 16, 2019.